Discussions on climate change generally focus on the necessity of reducing carbon emissions, while recognizing that such action will take a long time to materialize. MIT professor Lawrence Susskind contends that communities can take action to combat climate change now, through steps that have the co-benefit of moderating the effects of flooding, heat waves, and drought—events already occurring with increasing frequency. Measures such as strengthening basic utilities and infrastructure so they are less vulnerable to high winds and flooding will provide short-term and long-term advantages. But such changes will happen only with widespread public engagement. Public education and public opinion surveys are not enough. Susskind and colleagues have been facilitating workshops with role-playing sessions where people consider how what they want and need can be meshed with the different wants and needs of others. Dialogue focuses not on worldwide climate change but on localized weather catastrophes. Climate risk is thereby translated into public health risk and people emerge with ideas for change rather than a mere summary of problems and disagreements. Susskind’s discourse serves as a blueprint for ways that government agencies and citizens can work together toward building climate-resilient communities. Presented on March 30, 2016 at the 21st annual Wallace Stegner Center Symposium. 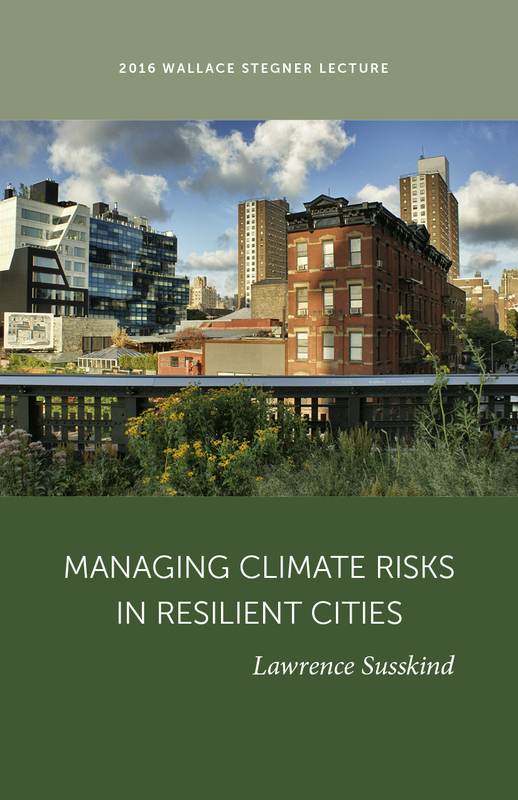 Copublished with the Stegner Center for Land, Resources and the Environment; S.J. Quinney School of Law; and Special Collections Department, J. Willard Marriott Library, the University of Utah. Lawrence Susskind teaches full time at MIT. He is the author or co-author of twenty books, including Managing Climate Risks in Coastal Communities and Environmental Diplomacy.